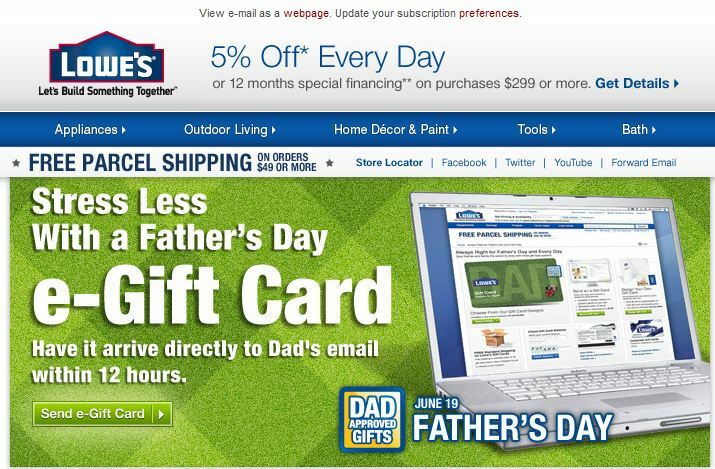 At 9pm tonight, received an email from Lowe’s: Send an e-Gift Card to your dad for Father’s Day and have it arrive within 12 hours. Brilliant marketing! Didn’t work on me though. My dad is getting a card and a call.